Inspired by the heart as the centre of all emotions, this beautiful sterling silver charm features a faceted crystal overlay representing the many aspects of love. The striking fuchsia pink hue underscores the romantic feel. Available online or in-store. Shape of Love Charm is rated 4.5 out of 5 by 15. Rated 5 out of 5 by Nineof9 from Lovely! This charm adds a nice pop of color to my bracelet. Just what I needed for my charm collection. Rated 2 out of 5 by NYC Lady from Doesn't exactly match picture. Just received this a few days ago. Wanted a heart. This is a cute crystal charm but you have to look closely to see it's a heart. Rated 5 out of 5 by Riggs from Just love the cut and the way light reflects I admired this heart on a friends bracelet - loved the color and the cut. Looks great on my bracelet. Rated 5 out of 5 by Randicat from Fantastic color! 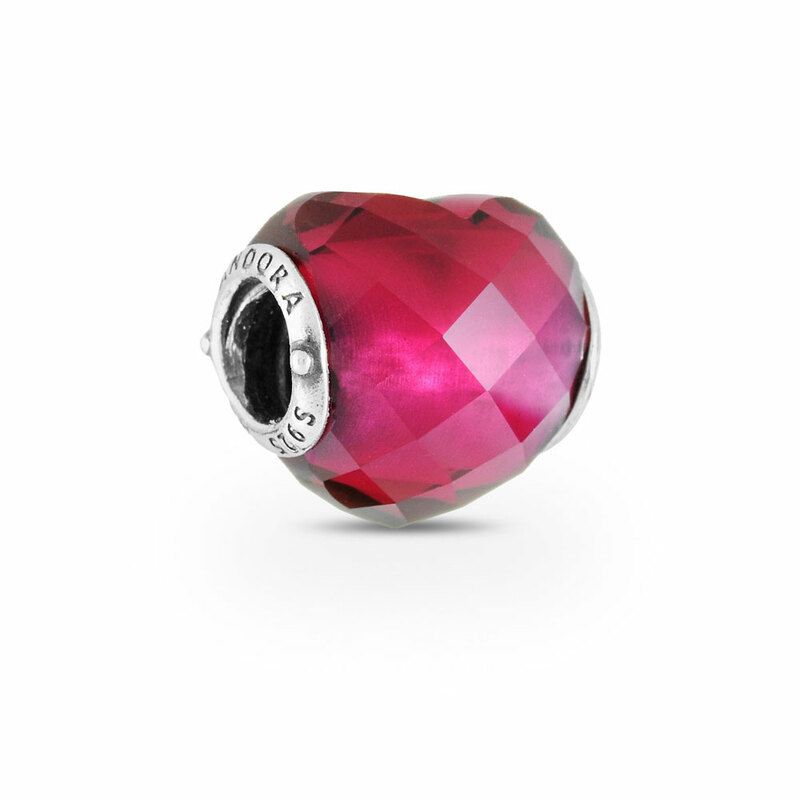 I love this bead due to it’s beautiful color and shape! Rated 5 out of 5 by Zapphire26 from My favorite charm ❤️ I bought this yesterday. I really fall in love with the shape and color. Well crafted. Highly recommended. Rated 5 out of 5 by Je55ica from Loving it! This charm is lovely as well as the other ones in the picture. I am totally in love with them! I recommend these pandora Charms!